Last January, a major milestone was reached when the world’s one millionth blood stem cell transplant was performed. Beginning in the 1970s, bone marrow and blood stem cell transplants — also known as BMTs — have offered the chance of a cure for many people with leukemias, lymphomas, and other blood disorders. But since patients first began receiving this treatment, a major complication of allogeneic transplants, in which patients receive stem cells or bone marrow from a donor, has been graft-versus-host disease (GVHD). GVHD occurs when newly transplanted immune cells from the donor recognize the recipient’s tissue as foreign and attack it. The condition can be temporary or chronic and can result in damage to the liver, lungs, digestive tract, or other organs. In some cases it is fatal. 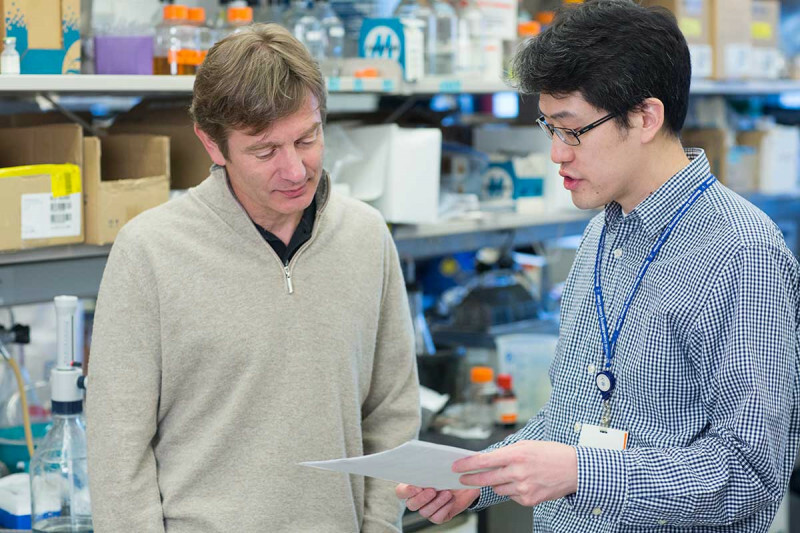 Memorial Sloan Kettering physician-scientist Robert Jenq is one of many investigators studying the disease. His particular research is focused on the role of bacteria and how certain bacterial strains that are naturally found in the body may protect against GVHD. This past weekend at the BMT Tandem Meeting near Dallas, he presented a study that was selected as one of the six best abstracts of the meeting. We spoke to Dr. Jenq about his research and how it might someday benefit patients. 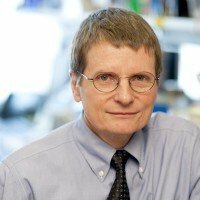 Aiding in the development of new research is the Human Microbiome Project, an ongoing, multi-institutional initiative funded by the National Institutes of Health that aims to characterize and provide detailed insight into the complexity of all of the microorganisms that live inside us. 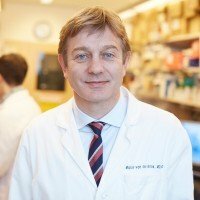 Previous studies from Dr. Jenq and his colleagues, including Hematologic Oncology Division Head Marcel van den Brink, began looking at how the balance of intestinal bacteria can affect GVHD. One of their areas of focus has been how antibiotics given to patients during the course of treatment to either relieve or prevent infections may have a negative effect on the so-called good or healthy bacteria that live in the body. The latest study, done in collaboration with Dr. van den Brink and infectious disease specialists Eric Pamer and Ying Taur, focused on a genus of bacteria called Blautia. 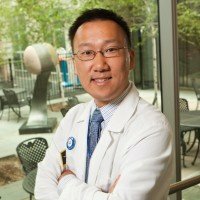 “Using sequencing technologies to study the bacterial makeup of the gastrointestinal tracts of patients undergoing BMTs, we found that if patients had even a smidgen of Blautia left — just 0.1 percent of the total makeup of bacteria in their GI tract was Blautia — they had an almost negligible risk of GVHD,” Dr. Jenq says. This research was supported by the National Institutes of Health under grant number R01 AI100288 and by the Lucile Castori Center for Microbes, Inflammation, and Cancer at Memorial Sloan Kettering. I had an allogenic stem cell transplant in 11/2011 to treat leukemia. Developed chronic GVHD at day +101 and have been participating in a phase I drug trial at Moffitt Cancer Institute in Tampa, Florida. It has been very effective in treating cutaneous sclerosis but my tear ducts have been compromised and must now use restasis and sterile eye drops. Any other remedies for this? I'm on high dose steroids, anti rejection meds and all anti bacterial, viral and fungal meds. Leslie, unfortunately, we are unable to answer specific medical questions on our blog. We suggest you discuss this condition with your physician.